"Dolphins Address Labels" product is already in your cart. Playful and friendly these Dolphins Address Labels remind us of the exotic creatures that inhabit our oceans. Four exciting poses make these labels especially fun as the dolphin seems like it is laughing in the first picture as he poses with his head just out of the water. The next picture shows a group of them as they swim, the next shows one flying out of the water and the last showcases the dolphin as it seems to clap its flippers at the camera! 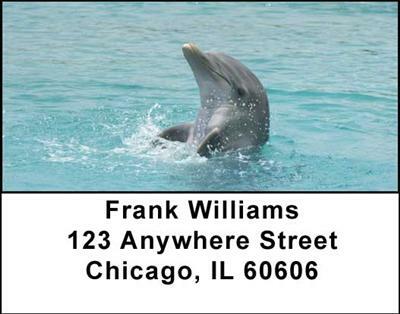 These Dolphins Address Labels will make it easy to show nature at its best and will definitely make everyone smile and laugh when they see them.